With so many unhealthy snacks during the holiday season, it is always nice to offer my kids something they love AND something that is healthy! 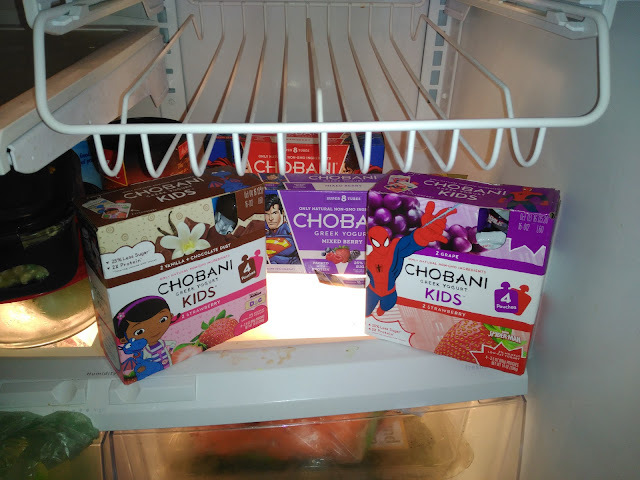 This holiday seaon that healthy snack that my kids beg for is Chobani! Their Kids and Tots Pouches and Tubes are a perfect snack to eat on the go during car rides or as a healthy snack during the holiday season! Chobani Kids and Tots offer nutritious and delicious options for lunch and snack time, plus parents can feel good knowing they’re made with only natural, non-GMO ingredients and 25% less sugar than the leading kids’ yogurt. Plus, with Disney and Justice League packaging, and delicious new flavors like Strawberry Banana, they’re fun for kids too! If you are looking for a healthy snack during the holiday season, grab a box of Chobani kids and Tots yogurt! Their flavors and fun characters on the packaging are sure to impress your children and have them begging for more (like my children do!). You can purchase Kids + Tots products at your local retailer and online.